DOWNLOAD IN THE TOP RIGHT! Hello to anyone who reads this comment. I do have Photoshop but i don't have pen and tab, this is just my hobby. And i have been using Paint Tool SAI because for some reason my mouse lags during painting in Photoshop. Sorry to sway from my original point of the comment lol. 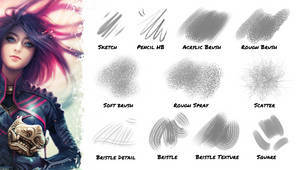 Does anyone have an idea how can i get similar brushes on PAINT TOOL SAI... ofc i do not need ALL of the brushes... mainly K HARD, K SOFT, INK and CHALK 01(very important for transitions). I just wanted to give you THE BIGGEST THANK YOU IN THE ENTIRE UNIVERSE, because your hair preset has opened up an area I've long wished I could do well; hair. While I can't exactly draw yet (don't have a pen/tablet thingy), just with that I can take pictures I've taken in my MMO Final Fantasy XIV and edit the hairs with my mouse and have them turn out SO GOOD that I actually teared up a little at my last picture, because finally, FINALLY, I could make hair the way I saw the digital artists I look up to do. Maybe not as good, but still. Little late to the party but thanks for posting these. Looking forward to seeing which I'll be using/ modifying etc! Also your videos have been really really helpful. Thank you! 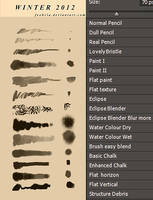 Is this normal that 90% of the brushes, including every chalk brush has very low opacity that can't be changed? Anyone know how to fix this? I've dealt with this problem over years and it got so frustrated for me. 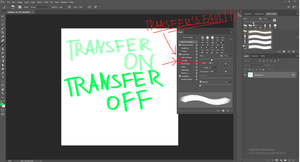 However months ago I found solution for this opacity problem. 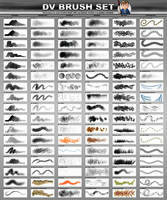 There is nothing wrong with the brushes, you need to change your pressure sensitivity from wacom tablet properties. None of those ready made pressure sensitivities working for me, so I realized there is that "custom" setting for pressure. Play with that sensitivity setting to get best setting that works for you. 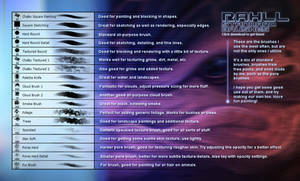 Now when I put some pressure I can get 100% opacity. Ill try to mess with the sensitivity settings! Hey mate! I am too facing the same issue.. did you find any fix? Mhm.. but that makes it too hard? 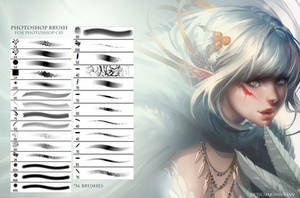 Below Pen-Pressure there is a scroll bar called Minimum adjust that as per your needs.. it works then. yes you should have them installed then, or click on that little settings wheel and "Load Brushes..."
prove with an old version of Photoshop, lice CS3. 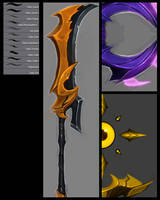 i have a cuestion.... the brush to draw the sketch XD whats the name ? 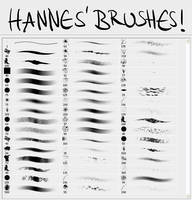 Just curious, KNKL, you made these brushes yourself right? BTW you got mad skillz kid. Do they work on adobe Photoshop cc 2014? 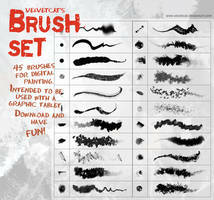 Unfortunately it won't let me download the brushes- it says they're not found. 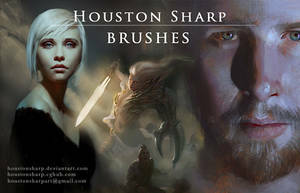 And the New chalk brush? What art program is this on? Wow thanks for these! Can't wait to try them out! 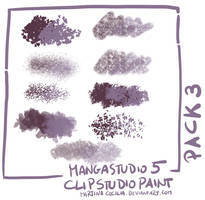 I don't suppose there's a way to convert these to Clip Studio Paint, or Paint Tool SAI? I had the money to buy both softwares as one-offs. I can't sustainably afford Adobe's subscription. 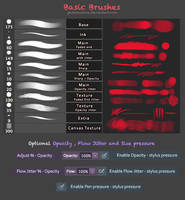 This one is useful for Paint Tool SAI! 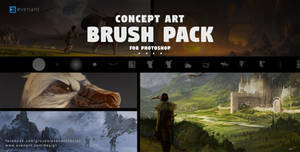 Click "Open Brush Set" and select the PS brush you want to convert. 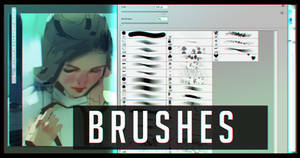 Wait for the brushes to load into the program. 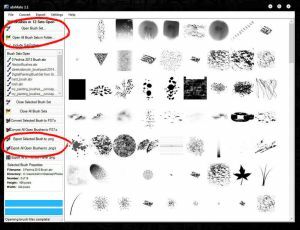 Click the "Export All Open Brushes to .pngs" and save them in a new folder. File > Open > Select one of the .pngs you just created. 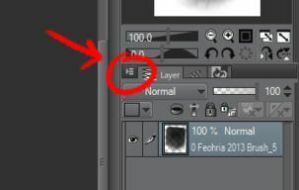 In the upper left corner of the Layers Window, click the arrow icon with 3 little lines beside it. 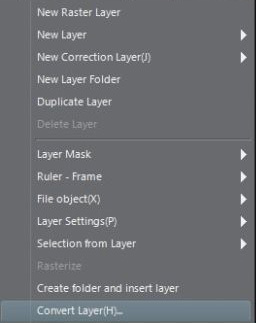 A "Convert Layer" box should pop up. Change the "Expression color:" from Color to Gray. Click OK.